Do you know a little boy who loves to train spot or go on long train journeys? 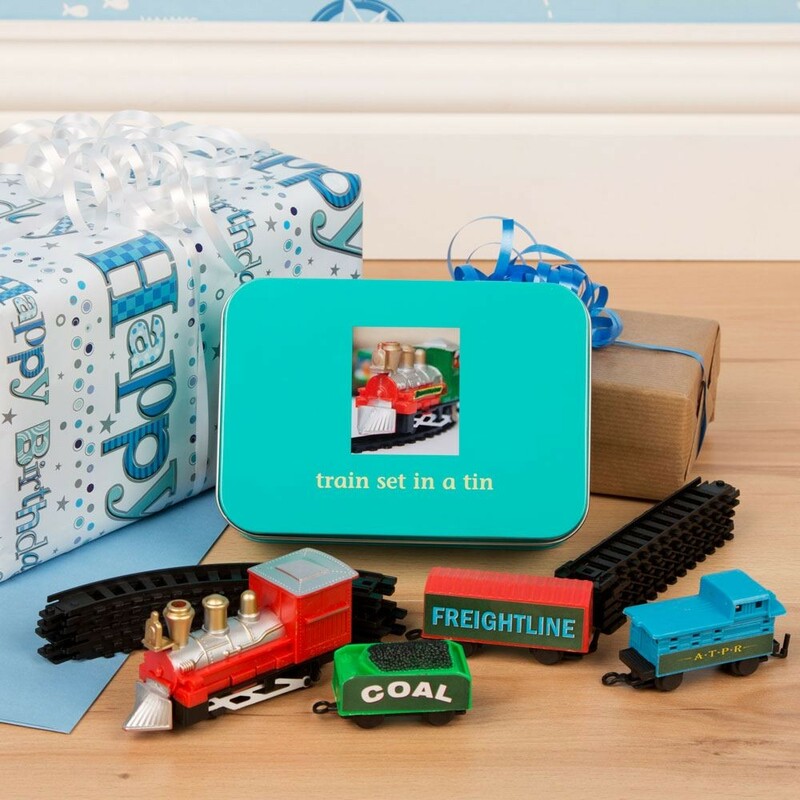 Why not get them this unique train set in a tin gift that will bring hours of fun for any boy and his dad or even grandad. Every boy loves building up a train and watching it going round a track. Once set up it will become their favourite gift that they will want to leave displayed on a table for visitors to see too. These tins are ideal for giving as a party gift, stocking filler and post very easily too. 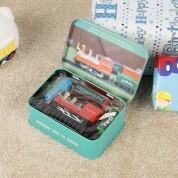 The kit contains: plastic steam train with coal truck, passenger truck, fright carriage, 6 curved and 6 straight pieces of track. This requires 1 x AA battery which is supplied. It is easy to store away and keep in it's little tin when its not being played with. Track makes an oval approx: 56cm x 26cm. Dimensions compact tin: 100mm high x 145mm wide x 55mm deep. Recommended age: 8 +, not suitable for children under 3 years.